18 Wheeler Vs. F150 Wreck Aftermath In 4k! 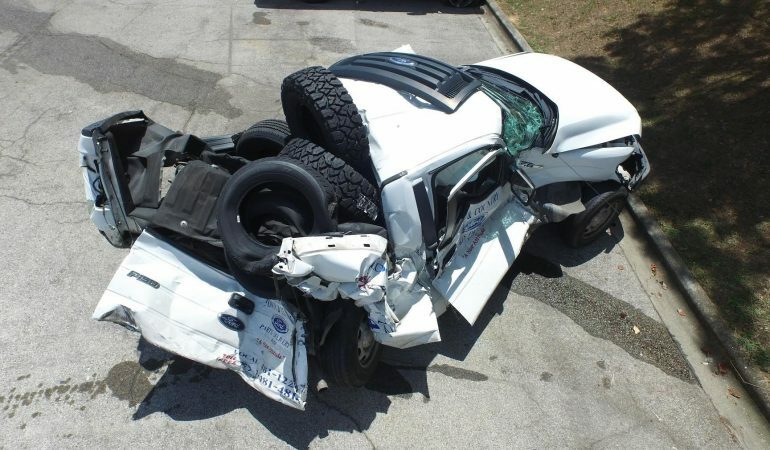 Just looking at this Ford F-150, and you might think that there is no way that the driver lived, but modern vehicles and trucks are built incredibly strong and are able to take tons of abuse. And after it was hit from behind by a 40 ton truck, this F-150’s bed folded up like the pretzel, pushing the rear axle up and under the truck. Some of the reactions of a truck to this accident are likely circumstantial, but it’s still one tough truck and this driver owes his life to it!